Arabic Transcription » Audio Transcription Services - High quality audio transcription services. If you need fast, accurate Arabic transcription and translation services, you’ve come to the right place. AudioTranscription.Org offers high quality transcription at an incredibly low price. Best of all, your satisfaction is guaranteed. When you choose AudioTranscription.Org for your next audio transcription project, you can trust that your transcripts will be completed quickly and accurately by one of the highest rated transcription companies in the industry. And now, we’ve partnered with a highly reputable foreign language transcription firm, so that you can be sure your Arabic transcription and translation projects will be completed with the same professionalism you’ve come to expect from AudioTranscription.Org. Located in San Francisco, California, AudioTranscription.Org employs some of the industry’s most experienced transcriptionists and we’ve found the top translators in the industry as well. So, we’ll prepare your transcript in Arabic or whichever language you prefer. 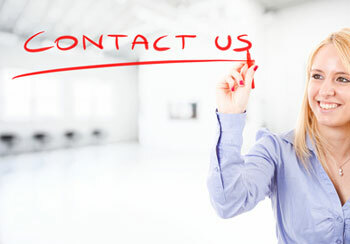 Just let us know how we can help you. And, you’re backed by our satisfaction guarantee; if you’re not happy with your transcripts for any reason, we’ll happily redo them for free. We also guarantee that your transcription and translation project will be 98% accurate. We can make such bold guarantees, not only because we know the kind of high quality work our transcriptionists and translators produce, but also because we send every transcript to our professional proofreaders to be reviewed for spelling, accuracy, grammar and formatting. You’ll love that you’ll never again have to guess how much your Arabic transcription project will cost. With our accurate, upfront quote, you’ll always know exactly how much your project will cost before we begin working on it. Transparency and simplicity are two of our core values. We’ll even let you try our top-notch Arabic transcription and translation services for free! We want you to be sure that we can deliver exactly what you need when it comes to your Arabic translation and transcription project, so it would our pleasure to offer you a free sample of our work.